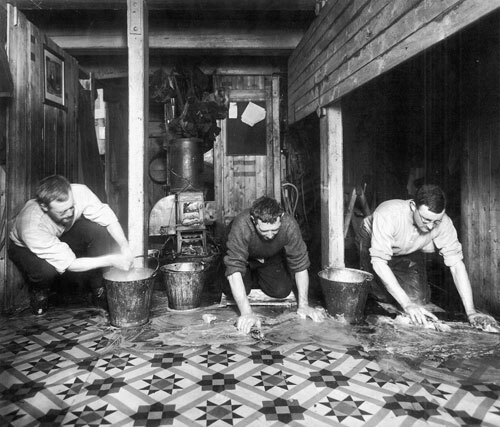 Scrubbing the decks | Shackleton. “…it fell to my unwilling lot to go down on my knees and scrub the passages. I am able to put aside pride of caste in most things but I must say that I think scrubbing floors is not fair work for people who have been brought up in refinement. “On the other hand I think that under the present circumstances it has a desirable purpose as a disciplinary measure it humbles one & knocks out of one any last remnants of false pride… & for this reason I do it voluntarily and without being asked but always with mingled feelings of revulsion and self abnegation.